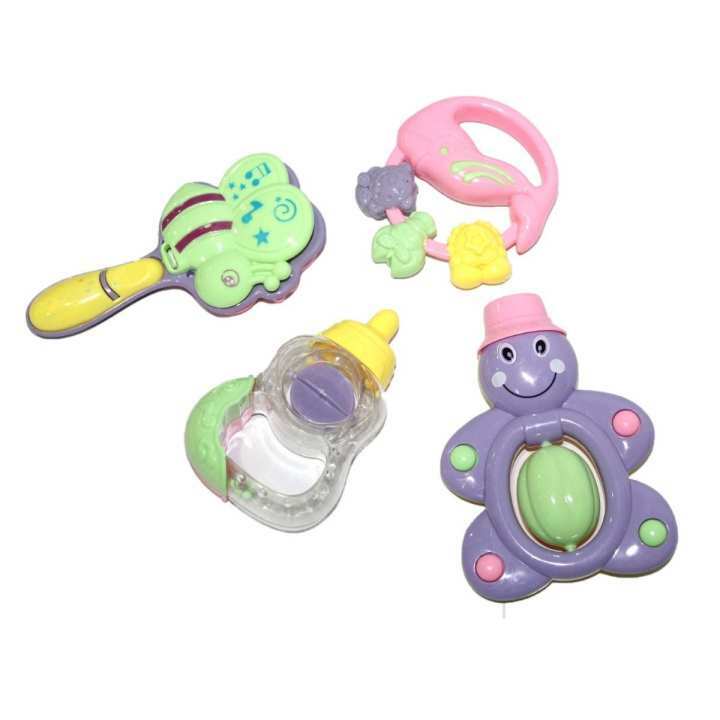 Your little one will love grooving to the fun rattle sounds, watching the bright beads swirl around in the clear dome, these set of rattle toys are the most entertaining toys for your infant. The handle are baby-sized to make it easy for even the teeniest-tiny ones to shake it or take their music on the road! Where development comes into play Sensory — the rattle sounds and bright colors help engage baby's senses of sight and hearing.